Today, we are comparing two wildly popular wireless headphones: the Jaybird X3 and the Bose SoundSport Pulse. 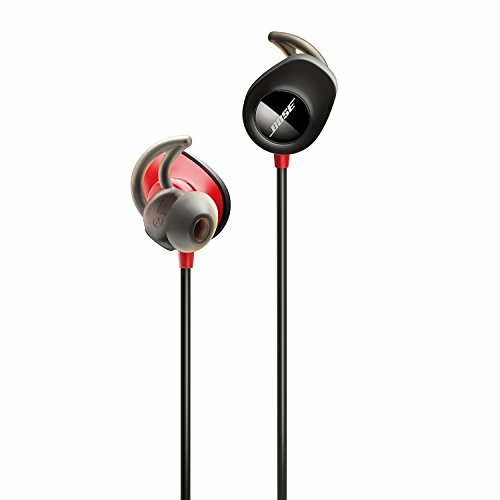 The Jaybird X3 have been around for a couple years now, and have become extremely popular because of their quality. These are a great choice for almost any situation — talking on the phone, listening to music at the office (or coffee shop), and even for fitness! The same goes for the SoundSport Pulse headphones. They’re great for most situations, including fitness activities and talking on the phone. So which one do you choose? That’s just what we’re going to help you decide! Follow along below and we’ll put the two against each other, showing you which one comes out on top. So without further ado, let’s get started! The Jaybird X3 doesn’t differ much in terms of their design from the X2. They are small, available in several colors, and coated with a layer of soft plastic for protection against moisture. The headphones feature an inline remote control with an integrated battery and microphone. On top of that, the Jaybird X3 headphones are available in a variety of different colors, which allow you to find a pair that fits your style preference. 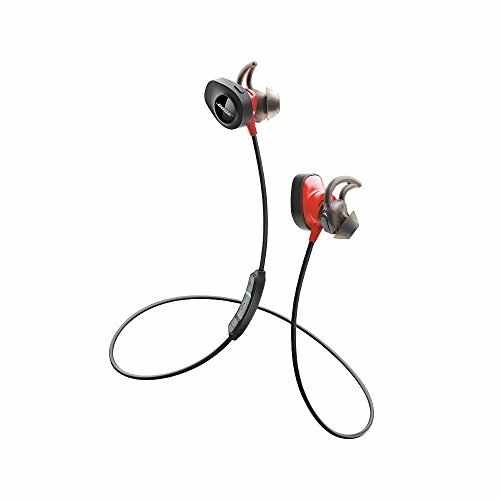 Jaybird claims that their X3’s have a universal fit. They have patented silicone ear fins that securely attach to the top and back/lower surface areas of the ear for a snug fit. This keeps your earbuds in place during intense physical activity, and even for simple activities all day long. There are actually multiple ear fins that come with the Jaybird X3’s to make sure that you get something that fits your ear. Because of their snug fit, they have noise isolation, which keeps ambiance out of your music! The Bose SoundSport Pulse is characterized by the large driver housing, which hides a battery and a built-in heart rate sensor. The sensor comes from a company called PerformTek, and it can accurately measure heart rate directly from your ear, allowing you to stay focused on your workout. These headphones have a pretty snug fit as well. You have a technology called StayHear+, which gives you ear tips that are a secure and stable fit for some of the most intense physical activities. Unlike the Jaybird X3’s, these do not provide noise cancellation or isolation. With all sports-oriented headphones, comfort and durability are just as important as sound quality. Compared to audiophile-grade over-the-ear headphones for home listening, wireless sports headphones spend most of their life in rather sweaty and noisy conditions. There have been several fantastic-sounding sports headphones that simply couldn’t cope with the demands of sports enthusiasts, failing after just a few months of use. Jaybird believes that the key to comfort is small size. Rather than integrating the battery right next to the drivers, the Jaybird X3 place it inside the volume control box with an integrated microphone. Because the headphones are smaller, they are more likely to comfortably fit more people, who can further tweak the fit using the assortment of included eartips and earhooks. Bose’s approach to comfort is dramatically different from Jaybird’s. The SoundSport Pulse have a large driver housing with a battery hidden inside. The housing is meant to stick out from your ears, while the StayHear+ Pulse tips provide a secure and stable fit. These special eartips combine a traditional eartip with an earwing, which significantly limits your choice of aftermarket replacement eartips. When you purchase the SoundSport Pulse headphones, you get three sizes of the StayHear+ Pulse tips, so if you lose the one size that fits you, you’re screwed. In terms of listening comfort, the Jaybird X3 and the Bose SoundSport Pulse are mostly similar, with the differences between them boiling down to personal preferences. However, the SoundSport Pulse headphones offer much less secure fit due to the large size and heavy weight of the driver housing. When running or jumping rope, you can really feel the housing yanking the headphones from your ears. It could be argued that it’s not fair to compare the Jaybird X3 and the Bose SoundSport Pulse in terms of their stock sound quality because the sound of the X3 can be fully customized using the Jaybird MySound app. The app lets you create custom EQ presets that directly modify the firmware of the headphone, so your preferred sound signature will be with you no matter which device you pair the X3 with. You can share your EQ presets with others and download presets from other people, including famous athletes and artists. Everything is really well designed, and the preset customization process is as intuitive as it can be. In their stock configuration, the X3 are noticeably less dynamic than the Bose SoundSport Pulse. Where the SoundSport Pulse thunder, the X3 remain calm and balanced. But if you want them to be more expressive, it takes just a few taps on the screen to select a different preset and thus change their entire sound signature. The frequency range of the X3 and the SoundSport Pulse seems to be nearly identical, and so is the level of detail. Because the X3 come with foam eartips, they have the potential to isolate more noise than the SoundSport Pulse, which only come with silicone eartips. While Bose is best known for its noise-canceling headphones, the SoundSport Pulse don’t feature active noise cancellation. While it’s very subjective, our opinion is that the Jaybird X3’s win in this area. The sound quality is completely customizable, and Bose just unfortunately doesn’t feel like an authority as far as small, wireless headphones go, such as in this comparison. That said, we definitely think the Jaybird X3’s are far superior here in terms of customization. Both the Jaybird X3 and the Bose SoundSport Pulse exceed the average battery life of wireless sports headphones, but the Jaybird X3 offer a few more hours of listening time: 8 compared to 5. The X3 also charge faster. Just 15 minutes of charging gives you a full hour of playtime, which could save you from having to listen to your gym’s radio when you find out that you’re without battery power right before leaving your home. With the X3, you can just pull out your powerbank and charge the headphones on your way to the gym. The SoundSport Pulse are no slugs when it comes to their charging speed, but they certainly aren’t as impressive as the X3. Jaybird’s relentless effort to maximize the battery life of the X3 has left no room for a USB charging port. Instead, there are proprietary charging pins at the bottom of the inline remote control that work with the included USB charging adapter. It’s not the most elegant solution in the world, and you better not lose the charging adapter, but it works. Both the Jaybird X3’s and the Bose SoundSport Pulse headphones work well with most apps on the App Store. The Jaybird X3’s have their own app, as we mentioned earlier, for music and sound customization. Bose does not. However, with the Bose’s built-in heart rate sensor, they connect up well with apps like RunKeeper and MyFitnessPal to provide you with better health statistics. The Jaybird X3’s don’t have a built-in heart rate sensor, so you won’t see that data in other apps. The Jaybird X3 wireless headphones are the clear winner over the Bose SoundSport Pulse. The Jaybird X3’s more comfortable and more customizable, so we see them as the clear winner of this comparison. 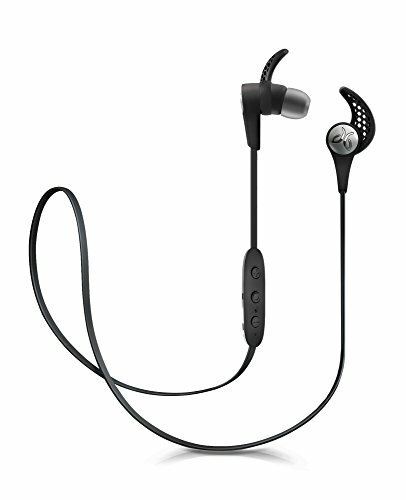 Bose’s reputation doesn’t hold nearly as much weight in the wireless sports headphones category as it does in the category of noise cancelling headphones, and the company has failed to justify the low value compared to price of the Bose SoundSport Pulse. Better luck next time, Bose. Do you have a favorite fair of sport-style wireless headphones? Sound off in the comments section below!